Hook fastener self adhesive tape. Keeps flat backed mats in place on carpet. This hook connector self-adhesive tape has velcro-like hooks on one side and a sticky adhesive layer on the other side. 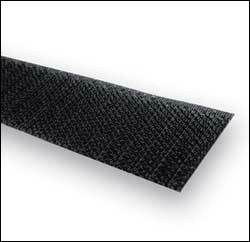 Just attach the sticky side to the back of your mat, and the hook fastener side will keep it in place on your carpet. This peel-and-stick, double-sided, 1" wide tape with interlocking "teeth" will help motion prone mats stay in place. Easy to install onto mat. Mat remains removable to allow cleaning the carpet underneath. Our velcro-like self-adhesive tape has hook fastener on one side and a sticky adhesive layer on the other side. Just attach the sticky side to the back of your mat, and the hook fastener side will keep it from moving around on your carpet. With extreme movement issues, you can put the tape around all or most of the perimeter of the mat, but in most cases, some strategically placed strips (cut to lengths depending on size of mat) will generally suffice. 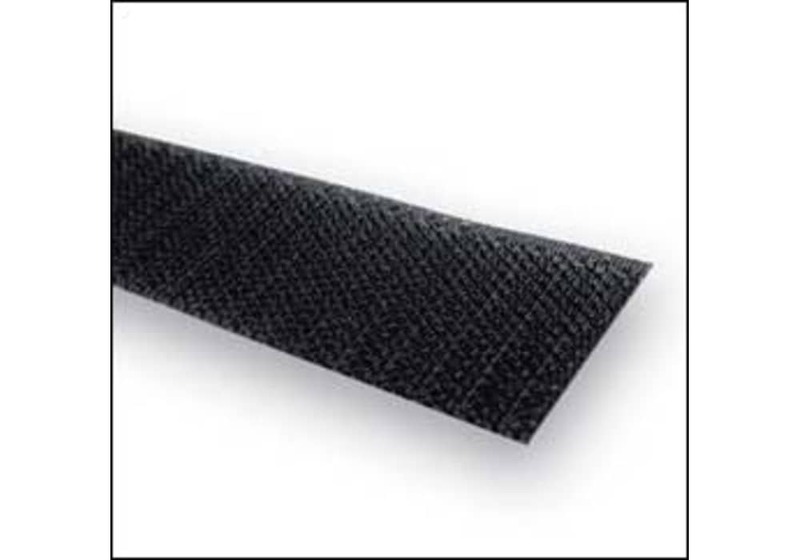 This peel-and-stick, double-sided, 1" wide, velcro-like tape will help mats stay in place on carpeted areas that experience high foot traffic and tend to creep as a result. Easy to install onto mat. Mat remains removable to allow cleaning the carpet underneath.